**Important! ** The pattern originally published in Twists and Turns®: The Newsletter for Lovers of Cable Knitting featured bottom-up construction and only three sizes. 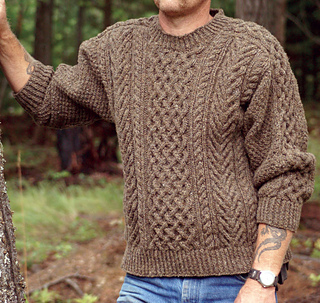 The pattern available here has been re-written for top-down knitting in an expanded range of sizes. If you want the bottom-up version, it is available in the Fall 2002 Twists and Turns newsletter.